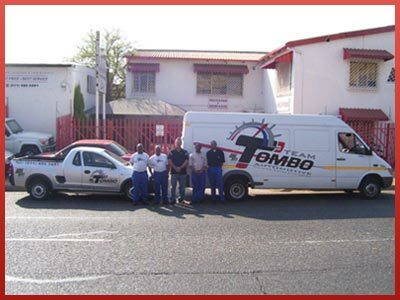 Tombo Automotive is a specialist company with a wealthy of experience and real working knowledge of automotive radiators, air conditioners and fans. We pride ourselves on our competitive prices and quality customer service. Based in Johannesburg we sell and deliver new car radiators air conditioners and fans to the trade and to the public. We supply radiators, air conditioners and fans for all makes of vehicles including large commercial plant, all type of road, vintage and motor sport vehicles. We always have large range of radiators in stock ready to be delivered. We are open Mon-Thu 8am until 5pm & Fri 8am until 3pm.